Everything Package "Limited Time Offer"
Special Limited-Time 50% Off Deal! This free course is an absolute MUST before diving into things. "The Basics" includes six video tutorials that cover everything from how to create basic major scales to chord inversions. 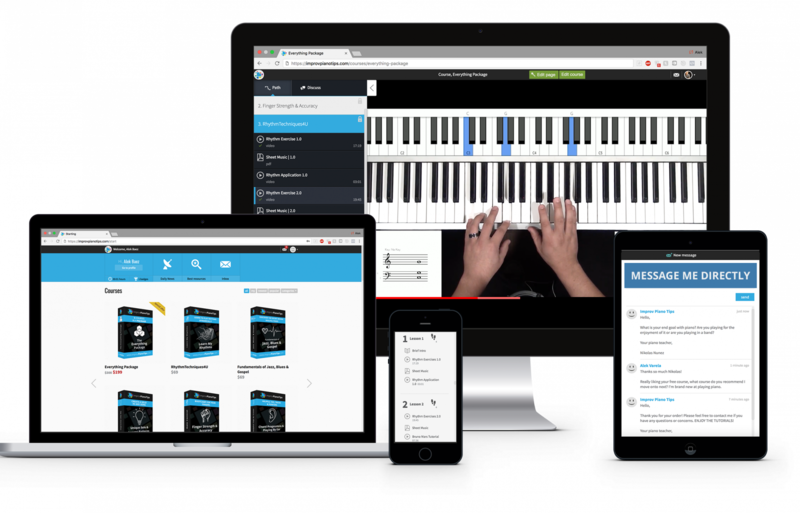 My engaging video tutorials will help you quickly understand basic foundational concepts of piano and get you on your way to producing music and playing + improvising freely quickly. This course is another foundational MUST! After years of experimenting and tweaking, I have found that the 9 exercises in this course will properly condition your fingers and set you up for success. The best part is, that they are proven 100% effective because I developed them with my personal one-on-one students! I was able to see what exercises worked and which ones didn't. This is the finished result. The course is structured with exercise video tutorials where I will clearly and slowly break down how to play each movement. I will also give you pointers on how to think about the movements as you are playing so that you can engage your fingers properly. Then, I have provided application videos to show you the movements in a real-world example. I want you to see why I am having you perfect theses specific movements. I don't believe in blind learning. Also, for your convenience each exercise is accompanied by professionally notated sheet music. Learning to play by ear is a difficult skill to develop. For some it comes naturally, and for others (myself included), mastering the skill takes many hours of dedicated practice. My goal with this course is to point your efforts in the right direction. After 15+ years of teaching and working with 300+ of my personal students, I have found that to develop the ability to play by ear, you must understand how chord progressions are created. After solidifying common patterns in chord progressions, I will reveal practice techniques I personally tested and developed, to improve your ability to distinguish bass notes, harmonies & melody lines. Playing by ear never sounded so good! Building a full sound and understanding how to use rhythm in your playing doesn't happen by chance. The goal of my "RhythmTechniques4U" course is to strengthen your control and eighth-note-placement. In addition to that, you will learn how to properly engage your mind-to-muscle connection with 10 Distinct Exercises I created. After developing your control, you'll have access to my Rhythm Application Video Tutorial Library that covers real-world-application of each exercise and movement you learn. My proven approach to soloing and improvising freely is a blend of memorizing patterns + understanding basic theory. My unique methods which you won't find anywhere else are broken into six detailed solo & improv videos with over 120 minutes of pure piano soloing and improv exercise tutorials and application videos! "Solo & Improvise Like Me" is handcrafted to develop a specific sound in mind. You'll be able to memorize eight unique patterns that start at the beginner level and gradually bring you to a HIGH LEVEL of playing. You'll be able to take those patterns in the studio or home with you as you confidently enjoy the music you are creating. Component #6: "Fundamentals of Jazz, Blues & Gospel"
Understand how to create a soulful sound with my unique and instantly applicable approach. 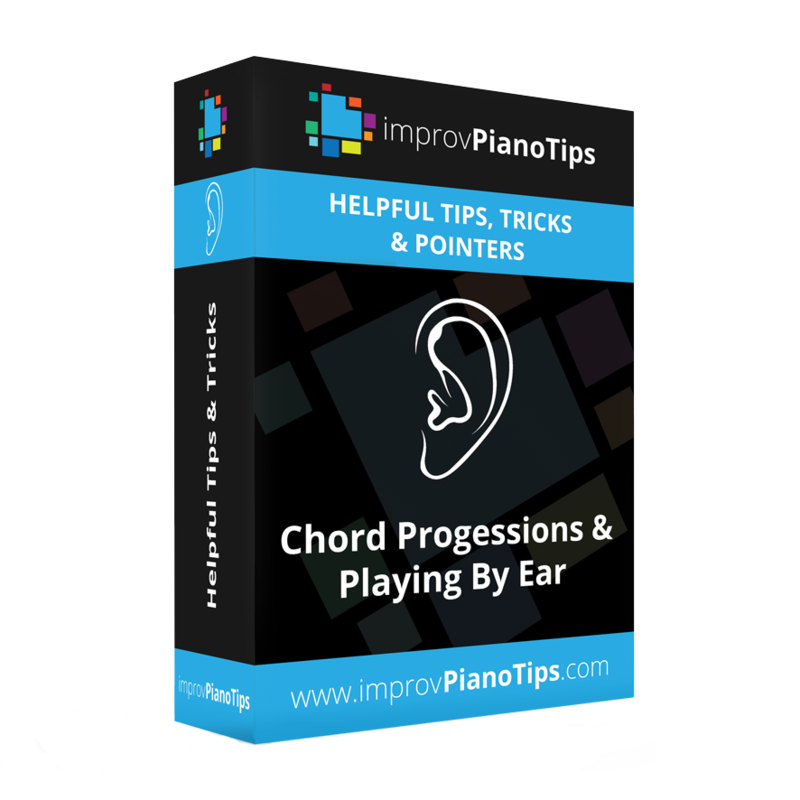 Learn how to use lick and runs, passing tones, chord voicings, and much more. My unique methods, which you won't find anywhere else, are broken into twenty-four (24) detailed Jazz, Blues & Gospel videos with over 315 minutes of pure soulful piano ideas, exercises, and applications. In addition to the quality exercise and application videos, you will have access to my "Passing Chord Dictionary". This dictionary will show you the eight essential chords you must know to create passing tones. To further your understanding of things, I will guide you in creating Gospel movements in "Georgia" by Ray Charles, teach you how to reharmonize simple melodies in "Twinkle Twinkle Little Star", and coach you through tasty Jazz, Blues & Gospel passing tones in the most soulful version of "Amazing Grace", plus much more. After enrollment, you will have access to the site's messaging platform through your account. From there, you can direct message me, message other people in the program and find community. The "Everything Package" is a 100% digital program, which means you get access to everything immediately after you purchase the program. Go through the program using our guided course platform, and get started right away. This Facebook Group is where you can interact with other ImprovPianoTip men and women and support each other on your musical journey. I'll be checking in there to make sure you are doing well and to answer any questions you may have. As always, I pride myself on the effectiveness of my program. Plain and simple, it works better than anything and I want to make this decision completely hassle-free, as it should be. So, what I decided to do is back this bundle with a full blown no questions asked 30 day money back guarantee. This means that you have a full 30 days to test drive the program. At any time you feel that it's not worth what you paid, you can email my support email, and get a full refund with no questions asked. The reason I'm able to offer such a refund is because my success rate is astonishing. People love the programs I create & experience amazing results. I know my lessons are good. If it doesn't help you I won't take your money. I have played for church congregations most of my life since 12 years old. I hear these chords and play some of them but thanks now to technology, I found your improv piano tips and I am loving them. Plus, your methods are very user friendly and easily understandable. I am looking forward to learning better to play by utilizing your chord structures and transformations which resonate so well with my piano skills. Hey Nik, finished your RhythmTechniques4u course and loved it! Fascinating and inspiring how you play the examples with such ease. Wauw, what sense of rhythm you have. Hope to follow your Solo&Improv course one day in the future. I like the sheetmusic and chords indicators in your vids. Thanks again. I currently belong to 2 other piano websites. Although these websites jump started my musical knowledge, I was still not able to grasp syncopation as much as i wanted to which in turn made me a very frustrated piano player. I thank God for you. You are the only one that was able to help me with syncopation. Thanks to you I am playing like everyone else that doesn't struggle with the upbeats playing hands together. I think because of your pleasant demeanor and cutting through a lot of non needed material such as site reading rhythms, i caught on right away. Dude, you're an anomaly. A freakishly-fantasic piano Guru. A master of the ebony and ivory keys. A genius beyond the likes of Liberace. You put the "Ach" in "Bach." You are the shizz of all things virtushizztic. The culprit that causes Beethoven to roll over. The "Chop" in "Chopin." In other words: YOU FRIGGIN' ROCK you disgustingly awesome piano-man!! !